FlowGuard Gold® Thermal Expansion Calculator | Lubrizol Advanced Materials, Inc. Thermal expansion and contraction is a property of all piping materials, including both metals and thermoplastics. 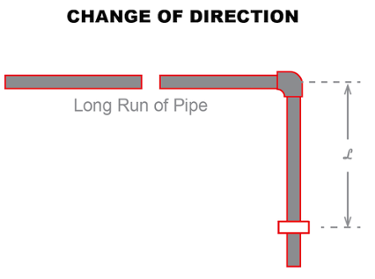 If left unaccounted for in piping system design, it can cause compressive stress on pipe and fittings, resulting in damage to residential plumbing systems. 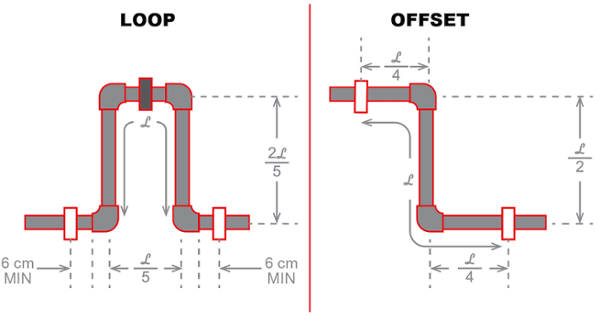 Using a deflection mechanism, such as an expansion loop, is recommended to easily account for thermal expansion and contraction and safeguard the pipe against potential damage. Enter in your pipe diameter, maximum and minimum temperatures, and pipe length. From there the calculator will deliver required expansion loop dimensions in both feet and inches. To access the calculator, complete the form on this page. Copyright © 2019 Lubrizol Advanced Materials, Inc. | All Rights Reserved.